SEATTLE, WA (July 24, 2017) —Since 1969, Seattle-based MSR® (Mountain Safety Research) has set the standard for creating high-performance outdoor products meant to withstand the harsh conditions of the mountains. New for 2018, MSR introduces the GuideLine Pro™ 2, a tent made for guides, informed by the needs of guides. Designed for professional guiding services, who can blow through several sets of tents in a single season, the GuideLine Pro 2 is a fully featured 2-person tent built to stand up to harsh winds, desert sands, and the general abuse laid upon them by guided guests on a daily basis. Where most tents used by guiding companies deteriorate or fail after a season, the GuideLine Pro 2 is designed to hold up 3 times longer than average consumer-grade tents. Strong zippers using burly YKK stainless steel zipper sliders are designed specifically for MSR. Oversized Easton® Syclone™ poles are virtually indestructible and incredibly resilient during storms. Also new for 2018, MSR introduces the Xtreme Shield™ waterproof coating which is formulated to be highly resistant to moisture and hot, humid conditions. 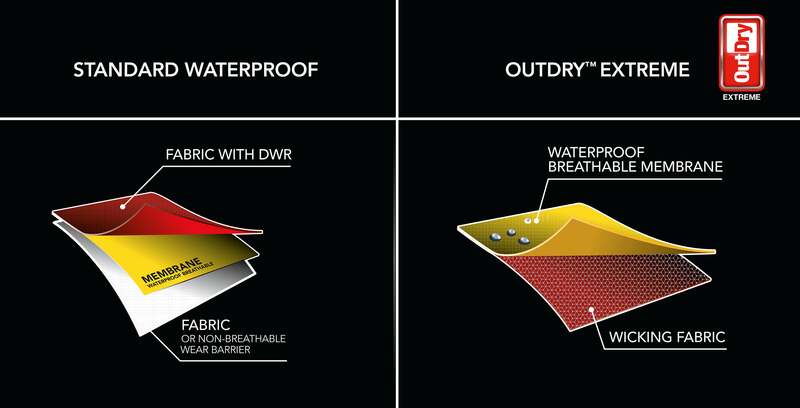 The durable coating, exclusive to MSR tents, lasts 3 times longer than standard coatings, preventing the stickiness and fabric leaks that lesser coatings allow. Further details include two fully sealable window panels to allow for flexible ventilation and total protection when the weather turns bad, two doors and vestibules, and the 68-denier ripstop polyester rainfly and 70-denier taffeta nylon floor include the latest Xtreme Shield waterproof coating. Check out the latest tent for professional guides at the Outdoor Retailer Summer Market trade show in Salt Lake City, Utah in July 2017. — Ultra-Durable: Oversized Syclone poles, ultra-durable stainless steel YKK zipper sliders, and robust geometry allow tents to last 3-5 seasons under brutal conditions and demanding users. — Xtreme Shield: new waterproof coating that resists premature breakdown. — Roomy: 152 cm (60 in) width can fit two oversized 76 cm (30 in) mattresses for spacious comfort. — Easy Setup: Freestanding system features color-coded poles, clips and webbing for fast and easy setup. — Closeable Ventilation: Mesh windows ensure cross ventilation and may be completely closed to seal out wind, sand and snow. — Gear Storage: Ample pocket storage and built-in gear lofts. — Client Friendly: Two doors and vestibules give each client easy entry/exit and ample personal storage.